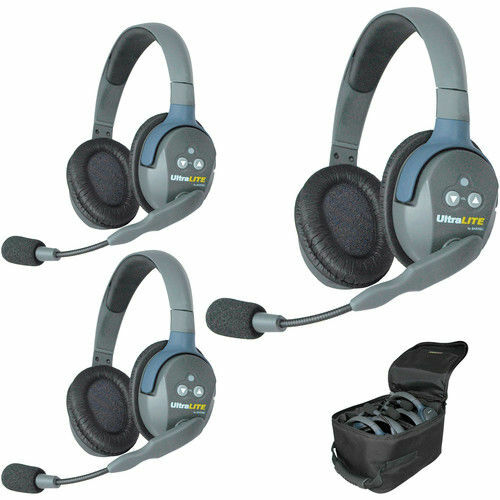 UltraLITE headsets eclipse all other full duplex wireless for performance and convenience because the transceiver is built right inside the ear cup. This self-contained ‘All-in-One’ design eliminates headset wires and even belt worn radios. They provide simultaneous talk, two-way voice communication for users that need to work with their hands yet also require one ear free to listen to what is going on around them.